With the breakthroughs in artificial intelligence technology and the rapid development of intelligent manufacturing, industry and artificial intelligence (AI) are gradually being deeply integrated. On the basis of artificial intelligence, we systematically expounded the generation, definition, characteristics, classification, technical system, and current situation of industrial artificial intelligence (I-AI). Combining existing research and industrial projects, we propose a detailed framework and a reference model for I-AI in industry. The framework contains seven dimensions: objects of I-AI, domain of I-AI, application stages of I-AI, application requirements of I-AI, intelligent technology of I-AI, intelligent function of I-AI, and solutions of I-AI. Secondly, based on the application scenarios of artificial intelligence and industrial convergence, we propose a detailed overall planning for I-AI. Finally, five typical industrial fields are selected, and the I-AI solutions based on TFV (technology and function integration in industrial value chain) unit and 6W1H method are used for new application scenarios of the proposed framework. In addition, a detailed case of implementing for I-AI in port equipment industry is given. The research results of this paper have achieved good results in the related industrial field and can provide some reference for other industrial enterprises to plan, design, implement, and apply artificial intelligence. 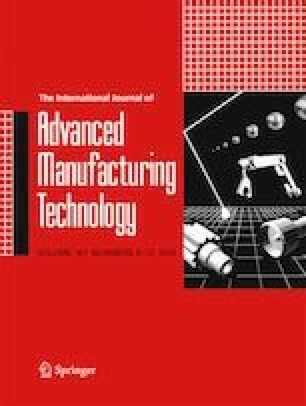 The authors would like to thank Shanghai Key Laboratory of Advanced Manufacturing Environment, Shanghai Research Center, for industrial Informatics (SRCI2). This work was supported by the National Natural Science Foundation of China (grant number 71632008), Transformation and Upgrading of Industry in 2017 (China Manufacturing 2025) (grant number ZL35060009002), and Innovation and Development of Industrial Internet in Shanghai of China (grant number 2017-GYHLW-01009). This research was funded by SJTU Innovation Center of Producer Service Development (SICPSD).